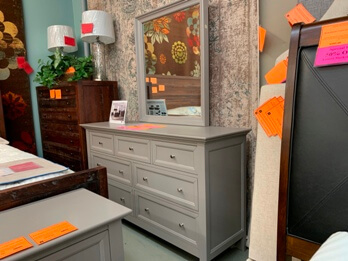 Stylish grey dresser features a clean lines with rectangular-framed drawer fronts & brushed nickel hardware. 3 small drawers across the top with 4 large drawers below. Solid hardwood construction. Comes with attached mirror.